Believe it or not there are a good few beauty brands I am not all that familiar with or at all. I have noticed that over my course of beauty blogging, new make-up brands crop up almost weekly. Through fear of bankruptcy I do try to hold off and research before splurging out on any new lines - beauty blogs really can be a life line for this very reason. Then of course there is the super pricey, premium brands that a gal can only treat herself to every now and then again because money doesn't grown on trees! This year alone I have been introduced to three premium beauty brands: Givenchy, Chantecaille and Sunday Riley - all very luxurious, all very expensive. In the past I have tried and owned a good few Givenchy fragrances but had somewhat overlooked the make up counter, I am pleased to say from what I have experienced it is worth the splurge - the eyeshadow palettes especially. 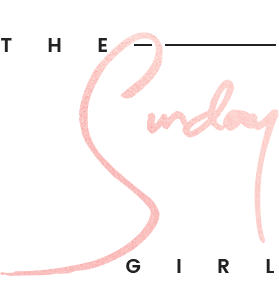 If you do try one new and dare I say it expensive skin care brand this year, let it be Sunday Riley - the skin oils work wonders, the ceramic slip cleanser is easily one of the best around and I have yet to be disappointed by any product. A hefty claim but very much true, I apologise in advance for the demise of your savings. My most recent brand discovery? Chantecaille - perhaps the Rolls Royce of beauty brands, silky soft eyeshadows, buttery smooth lip colours and divine palettes you will want to showcase as well as wear. Yes it took me a while to take the plunge and trust the brand but now I'm here there is no going back. I know what you are thinking, there can't be many brands left for me to discover? Wrong - I have still to as much as sniff a Creed fragrance, I have not yet tried anything by Freedom Make Up London, I have my eye firmly on a large Colour Pop Cosmetic order and Peter Thomas Roth (along with Lorac) is the one brand firmly on my radar when I touch down in the US - I need to try his iconic facial masks for myself. If money was no object, what one brand would you like to finally try and why? Definitely want to try Colour Pop for myself too. It's been getting so much buzz. Is that a Chantecaille lippie I spy in the photo? I'm absolutely obsessed with them! One of my favourite lip formulas to date. Chantecaille also have the most gorgeous (expensive!) skincare too. I can't live without the Jasmine and Lily Healling mask. I'd love to try some Givenchy and Gucci makeup. Yet to take that plunge!! Hmmm I feel like I actually haven't tried any Armani products because they're so pricy! Beautiful products. If money wasn't an issue I'd own all of Tom Ford's make-up. How about Kate Somerville? It's brilliant as well! Hourglass is definitely a brand I would like to try if I had the money, or Charlotte Tilbury, but it is all so expensive unfortunately! I agree on thinking it through, before making a high end splurge. It took me months to get something by Chanel. I would go wild and crazy and buy a truck load of Make Up Forever products suc good quality and to be honest I think they might blow MAC out the water for its foundations soon with Debs taking them in. I have sooooo many brands that I haven't tried! Top of my list are probably Charlotte Tilbury (mostly cause of the packaging I admit) and MAC, just because of how iconic they are. There are so many brands I'd love to try but, I think above all others, the two I'd most love are NARS and Diptyque! I'd love to try all the makeup, probably Charlotte Tilbury the most at the moment, and Tom Fords. I tend to just apply for alllllll the samples I can because of my student budget at the moment. If money were no object, I'd probably have stacks and stacks of pretty colours everywhere! Totally agree with you on having so many brands that I need to try out. I've been meaning to smell diptique candles and purchase products from Hourglass despite it being expensive yet worth every penny. Sounds good,! 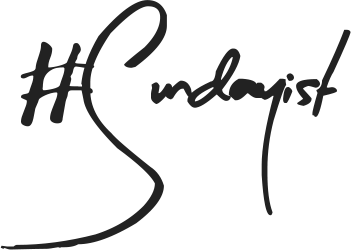 If money isnt a concern, I would love love love to splurge on some Sunday Riley products! Heard too much good stuff about it! I have yet to try anything from sunday riley, chanel, givenchy and tom ford, partly because it is expensive and party because I can't get my hands on them. There's so many brands I have never tried and are huge blogger favourites. To be honest I'd love to spend most of my money in space nk!